2011 Ph.D. Second Language Acquisition. Carnegie Mellon University. 2007 M.A. Linguistics and Applied Linguistics. Beijing Language and Culture University. 2004 B.A. Chinese Language and Literature. Beijing Language and Culture University. Li, S., & Swanson, P. (Eds.) (2014). Engaging language learners through technology integration: Theories, applications, and outcomes. Hershey, PA: IGI Global. Taguchi, N. & Li, S. (Eds.) (2017). Pragmatics research in Chinese as a Second Language. Special thematic issue. Chinese as a Second Language Acquisition Research. Li, S., Taguchi, N., & Xiao, F. (accepted/forthcoming). Variations in rating scale functioning in assessing pragmatic performance in L2 Chinese. Language Assessment Quarterly. Li, S. (accepted/forthcoming). Measurement quality of an instructor-developed CFL summative assessment instrument: An exploratory pilot study. In X, Wen & X. Jiang (Eds. )., Studies on learning and teaching Chinese as a second language. Oxon, UK: Routledge. Li, S., & Wang J. (2017). Diagnostic assessment of L2 Chinese learners’ reading comprehension ability. In Zhang, D. & Lin, C. (Eds.). Chinese as a second language assessment (pp. 183–202). Springer. Li, S. (accepted/forthcoming). Cognitive approaches to L2 pragmatics research. In N. Taguchi (Ed. )., Handbook of pragmatics and SLA. Routledge. Li, S. (accepted/forthcoming). 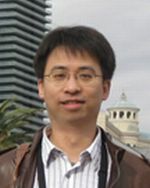 Contextual variations of mitigations in Chinese requests. In Y. Xiao & L. Tsung (Eds.). Current Studies in Chinese Language and Discourse. John Benjamins. Xiao, F., Taguchi, N., & Li, S. (2018). Effects of proficiency sub-skills on pragmatic development in L2 Chinese study abroad. Studies in Second Language Acquisition. doi.org/10.1017/S0272263118000128. Taguchi, N., & Li, S. (2017). Replication research in L2 pragmatics: Bardovi-Harlig & Bastos (2011) and Taguchi, Xiao, & Li (2016). Language Teaching, 1–13. doi:10.1017/S0261444817000222. Li, S. (2017). An exploratory study on the role of foreign language aptitudes in instructed pragmatics learning in L2 Chinese. Chinese as a Second Language Research, 6(1), 103–128. Taguchi, N., Xiao, F. & Li, S. (2016). Development of pragmatic knowledge in L2 Chinese: Effects of intercultural competence and social contact on speech act production in a study abroad context. The Modern Language Journal, 100(4), 775–796. Taguchi, N., Xiao, F. & Li, S. (2016). Assessment of study abroad outcomes in Chinese as a second language: Gains in cross-cultural adaptability, language contact, and proficiency. Intercultural Education, 27(6), 600–614. Li, S., & Taguchi, N. (2014). The effects of practice modality on the development of pragmatic performance in L2 Chinese. The Modern Language Journal, 98(3), 794–812. Li, S. (2014). The effects of different levels of linguistic proficiency on the development of L2 Chinese request production during study abroad. System, 45, 103–116. Li, S. (2013). The role of instruction in developing pragmatic competence in L2 Chinese: A review of empirical evidences. In Z. Jing-Schmidt (Ed. ), Increased empiricism: Recent advances in Chinese linguistics (pp. 293–308). Amsterdam/Philadelphia: John Benjamins. Li, S. (2013). Amount of practice and pragmatic development of request-making in L2 Chinese. In N. Taguchi & J. Sykes (Eds. ), Technology in Interlanguage Pragmatics Research and Teaching (pp. 43–69). Amsterdam/Philadelphia: John Benjamins. Taguchi, N., Li, S., & Liu, Y. (2013). Comprehension of implicature in Chinese as a foreign language. Pragmatics and Cognition, 21(1), 139–157. Taguchi, N., Li, S., & Xiao, F. (2013). Production of formulaic expressions in L2 Chinese: A developmental investigation in a study-abroad context. Chinese as a Second Language Research, 2, 23–58. Li, S. (2012). The effects of input-based practice on pragmatic development of requests in L2 Chinese. Language Learning, 62, 403–438. Li, S. (2016). Pragmatics information in selected Business Chinese (BC) textbooks in the U.S. Chinese as A Second Language: The Journal of the Chinese Language Teachers Association, USA, 51(2), 191–217. Li, S., Wang, S., & Wang, J. (2013). A preliminary investigation of business Chinese teaching among U.S. institutions of higher education. Journal of Chinese Language Teachers’ Association, 48(2), 69–89. Li, S., & Wang, J. (2016). Chinese government policies and initiatives on the international popularization of Chinese: An economics of language perspective. In J. Ruan, J. Zhang, & C. Leung (Eds. ), Chinese Language Education in the United States (pp. 29–46). Springer. Li, S., & Tucker, G. R. (2013). A survey of the U.S. Confucius Institutes: Opportunities and challenges in promoting Chinese language and culture education. Journal of Chinese Language Teachers’ Association, 48(1), 29–53.